Even his lighter-hearted fictions make us hold our breath, and the endings don’t let us quite exhale. 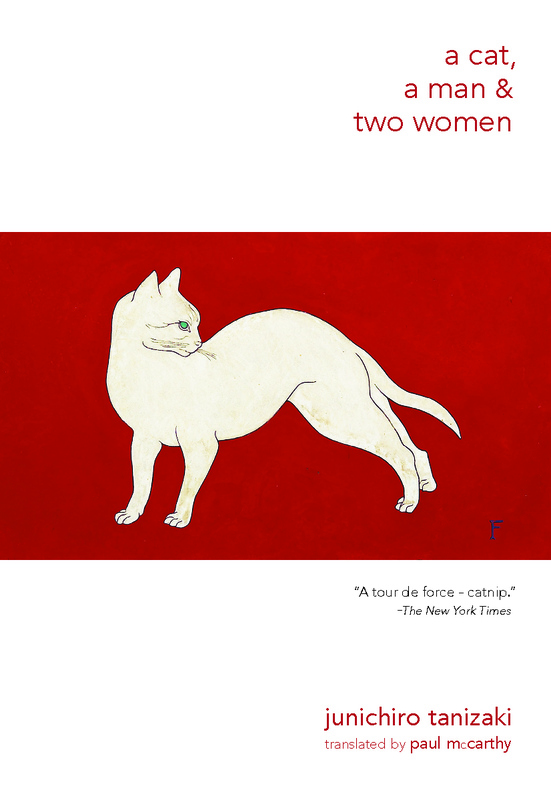 The three pieces in this collections—the novella “A Cat, A Man, and Two Women” and two shorter pieces, “The Little Kingdom” and “Professor Rado”—are lighthearted and entertaining variations on one of Tanizaki’s favorite preoccupations: dominance and submission in relationships, complicated here by customs, public opinion, and comic grotesqueries. In the title piece, the bumbling Shozo is caught in the middle of an ongoing struggle between his ex-wife and her younger successor. Shozo would prefer to stay out of it and be peacefully left alone with his elegant tortoiseshell cat, Lily, but he keeps getting dragged back into the battles and arguments. The result is an oddball love triangle centered around Lily, the only true object of Shozo’s affections—”one of the finest pieces of literature concerning cats ever written” (Choice). Tanizaki’s a really great writer. There’s a humor there that you don’t get in Yukio Mishima. Mishima wouldn’t know a joke if it flew up his nose and died there. But Tanizaki has got this warm ticklishness to his strangeness.